My best strategies for FOLLOWING THROUGH with your goals. 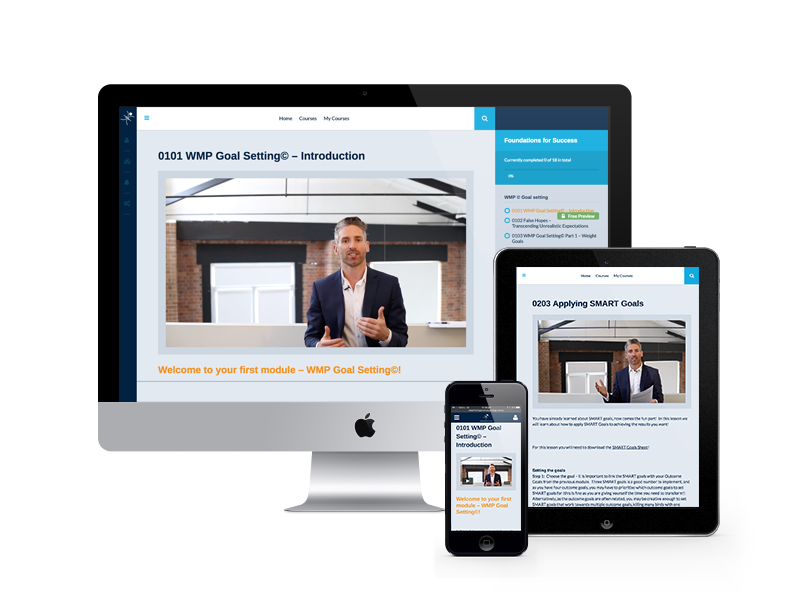 Over 5 hours of lesson time comprehensively guiding you through the process of creating meaningful, specific goals that are achievable. and start building your foundations for success with Glenn now! Foundations for Success is an online programs designed to help you set holistic goals and actually reach them. As soon as you signup you get access to the program straight away. We recommend you focus on the Preseason before jumping into the first module! You don’t need to be anywhere at any specific time – you complete the program at a time that suits you from the comfort of your own home. You can also revisit the lessons whenever you want. You choose to have access to Foundations for Success for a 4 week period (completing 1 module per week), or a lifetime access option where you get to keep the material (including improvements we regularly make to it) forever. The program access lasts for 4 weeks from your start date (and we keep it open an extra 2 weeks in case you need a little bit of extra time!) If you want continued access you can extend your program with a no-contract, nominal monthly subscription of $4.99/month or purchase a Lifetime access option to keep the program (and the regular improvements we make to it) forever. Hey Buddy!, I found this information for you: "Foundations for Success". Here is the website link: https://www.weightmanagementpsychology.com.au/foundations-for-success/. Thank you.